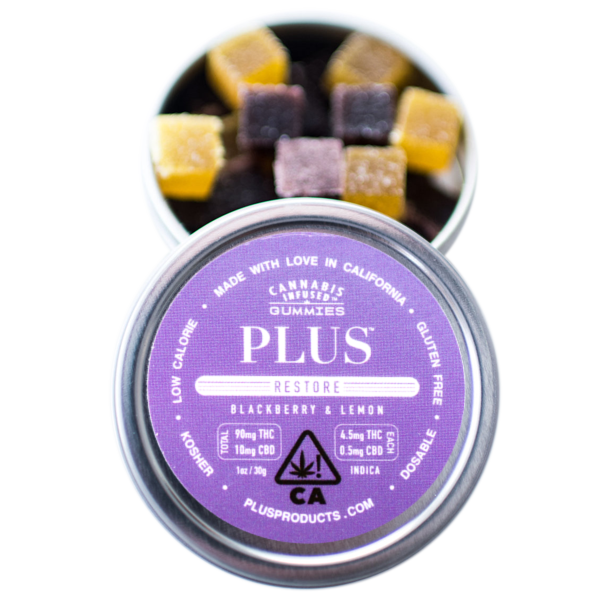 90MG THC, 10MG CBD PER TIN // PLUS™ Blackberry & Lemon Indica Gummies are all natural, dosable, discreet, handcrafted gummies. At 5mg of THC/CBD a piece, each gummy is precisely dosed. This mellow high will leave you feeling relaxed and happy. Infused from scratch with all natural, gluten-free, and kosher ingredients (and only 6 calories a pop!). Made with a 9:1 THC to CBD ratio for ultimate relief.